A small-batch straight pumpernickel rye whiskey handcrafted in the heart of the Ohio River Valley. 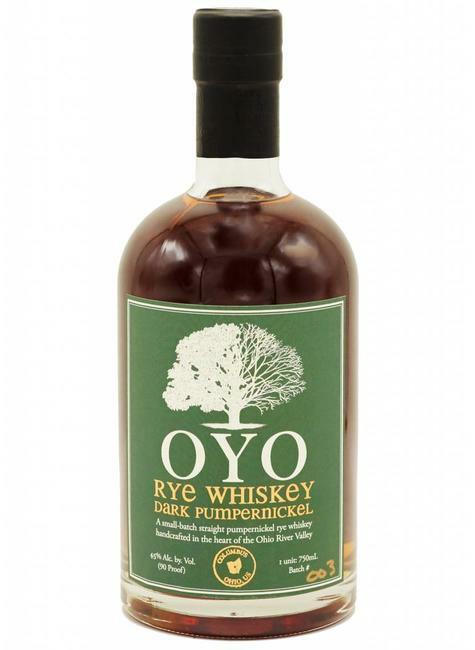 Using Dark Pumpernickel Rye grown in fields across the Middle West, OYO Dark Pumpernickel Rye Whiskey is a single varietal straight whiskey made from scratch in small batches and barreled in American oak casks with strict adherence to old world traditions. The result is a spicy full bodied whiskey that proudly bears the original name of the Ohio River Valley. Distilled from rye, aged a minimum of 3 years.